Hey everyone! I am super excited to be joining these very talented ladies, for our very first Blog Hops with Heart! We are going to be sharing some fabulous projects! The best part to me is many of us will be sharing our love of Close to my Heart products, combined with other crafty companies we love! This month we are featuring the beautiful paper pack from Close to my Heart, Sangria. I have two cards to share today. For my first card, I did a little faux water coloring to color my image. I wanted to add shading to the Peonies, so I used Eggplant ink full strength, and then added water to make a much lighter shade. I did the same for the leaves using Olive ink. After I had let the image dry a bit, I masked and stamped again with Gold pigment ink...so the gold ink would give an outlined effect. I will list all the supplies at the very end of my post, in case you are curious. My next card was my favorite, mostly because I adore foxes! I stamped the cute little fox on my card panel, and colored it with Copics. Then I die cut the wreath four times, to add some dimension. I colored the green leaves using the same faux water color technique, in Olive. Then I used Copics for the red color, to tie in with the Sangria paper. It was a super quick and easy card, thanks to lots of dies! Thank you so much for stopping by to see my cards! Next up on the hop is Amy McVey, you won't want to miss her fabulous card! I hope you all have a wonderful Thanksgiving filled with love and laughter! Hey everyone! Today I am sharing a few cards I have made this week. I loved the Winter Owl stamp set from Lawn Fawn, and would be so cute to have the owls snuggled up on a tree branch waiting for Santa. I had so much fun with the stamp sets, I made it once with all the dies...and again using masking to make a single layer card also. I hope you like them! Hey everyone! My next card share is featuring the super cute stamps from Lawn Fawn. I recently picked up Cozy Christmas, and I am absolutely loving it! Ok, so you probably understand by now...I really love Christmas...and cute little animals, lol! These were both super simple cards to make, but so much fun! I colored the images out with Copics and smothered with Wink of Stella where appropriate. ;) I used Let's Bokeh paper to make the Christmas tree, and used the Puffy Clouds Die to create the snowy landscape on both cards. I love all these cute animals so much! I used my ScanNcut to cut them out...but I seriously need to start collecting these cute dies. I was beyond happy with the Cozy Christmas Die set. I cut the Merry Christmas Border Die out three times and glued each layer together to make it pop up a bit. Hey everyone! Did I mention I'm currently obsessed with Wplus9 stamps and dies lately??? If you happened to watch my haul video, you already know what's coming...I wanted to jump up and down when I saw the Wplus9 holiday release of the Drummer Boy stamp set! I totally embarrassed myself going a bit crazy over a stamp set, lol. I had wanted a stamp set like this for so long, I thought I would have to draw it myself. Ok, in my defense...I have only been making cards for a little over two years. But, I do think it is so adorable, and I'm telling all of my crafty friends it's a must have! My first card I cut out an oval window, so the night sky would show through. I colored the images with Zig Clean Color Real Brush pens. I used the companion dies to cut the images out and adhered them to the desert landscape. I popped some of the images up with foam tape. I had so much fun with this set, I had to keep playing! So, for my second card I combined Drummer Boy with Wishing You. I used Distress Inks to create this simple card, and just did a bit of masking. I masked off a section to highlight where the star would shine down on the town of Bethlehem. Then I made the sky sparkle with some embossed stars and Perfect Pearls. I'm so happy I picked up this Drummer Boy set before it sold out. All I need to be happy now is a star of Bethlehem Star Die! If anyone has I seen one, please let me know. Dies: Mama Elephant~Sew Fancy; Avery Elle~Pierced Rectangle; Wplus9 Love Showers Layers Die<------Love! Hey everyone! I have some cards to share today, they were so much fun to make! My first card I used the super cute stamps, Holiday Hugs and Winter Pals. I used pigment inks to create a winter background and stamped some trees. Then I paper pierced the girls coat and hat, and the Polar Bear's scarf and finished them off with some Wink of Stella. I also colored and added some shading to the images with Copic markers. I popped the Polar Bear, sled, and gifts up with foam tape. Hey everyone! 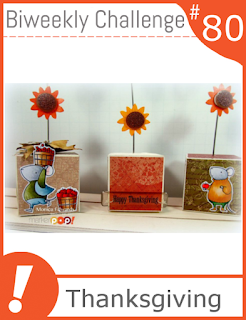 Just popping in to share a card a made using my new Wplus9 stamp set, Autumn Leaves. I colored the leaves with Copic markers and then stamped again using Gold Delicate pigment ink. This was a super quick card, as I discovered a new Markerpop Challenge, on their Facebook page! I love Markerpop, as you know if you watch my YouTube videos. But, I just recently discovered their Facebook page. So, I had an hour and a half to make my card and post it to my blog, lol. I do LOVE a challenge, I should enter them more often.